This versatile design is one of my proudest. This unit saves Counties, Townships, and Municipalities revenue which is very important when tax revenue seems to be on the decline. 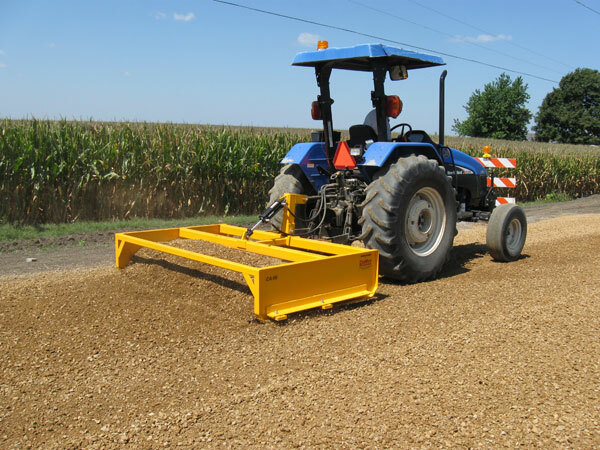 These agencies are able to use the HA and CA series to grade and maintain unpaved roads instead of using costly, fuel consuming, and hard to maneuver motorized graders which also require a very specialized operator to use. These units are getting the job done at a fraction of the cost not to mention quicker. Of coarse private landowners, contractors, and farmers also gain these advantages while using the GRADEMAX design. The Name of the game in today's economy is efficiency, durability, and low maintenance when it comes to equipment. Thats what you get with GRADEMAX Products. 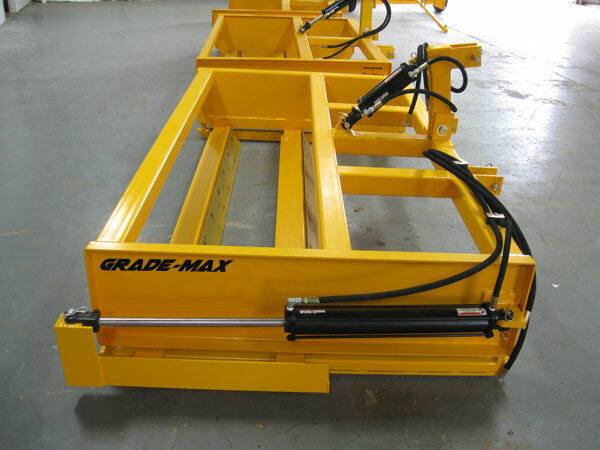 Efficiency, due to less overall time involved in the job process and lower fuel consumption.Durability, due to the design of GRADEMAX being a lifelong passion for us involved in the designing, manufacturing, and testing of all GRADEMAX Products. Low maintenance due to taking extra steps to insure the design is durable and that all wear parts are long lasting and replaceable.This unit offers so many blade configurations that you would actually have to buy four or more of competitor's graders to equal this one unit. 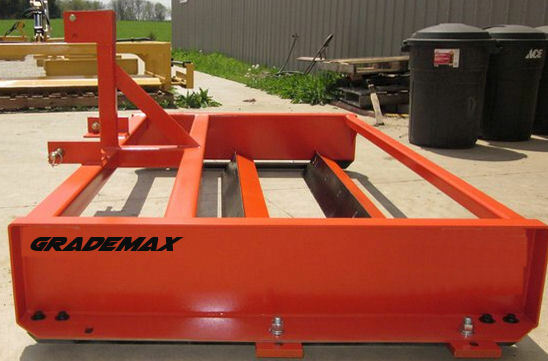 This model allows for the use of the GRADEMAX proven design to be used on a skid Steer whereas they were mainly used on tractors before. 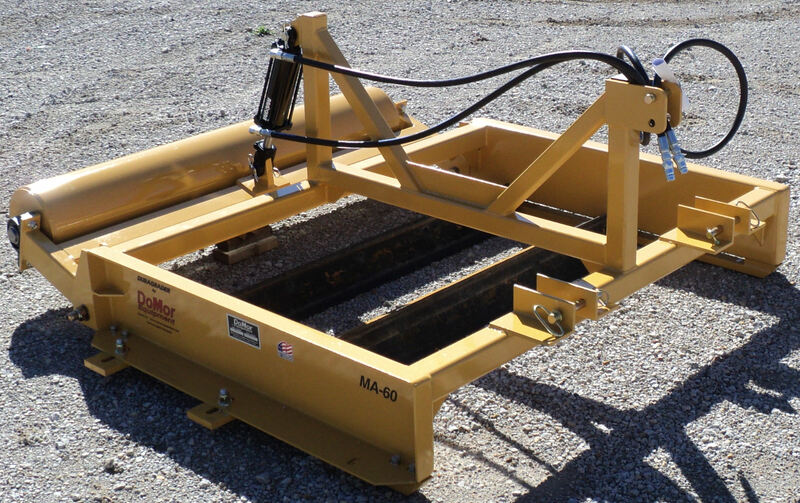 This model has two cutting edges faces each direction giving it a total of four cutting edges.This is very important as skid steer typically do about the same amount of work in reverse as in forward. This design allows for optimal performance of using the twin blade design our company perfected but in both directions. 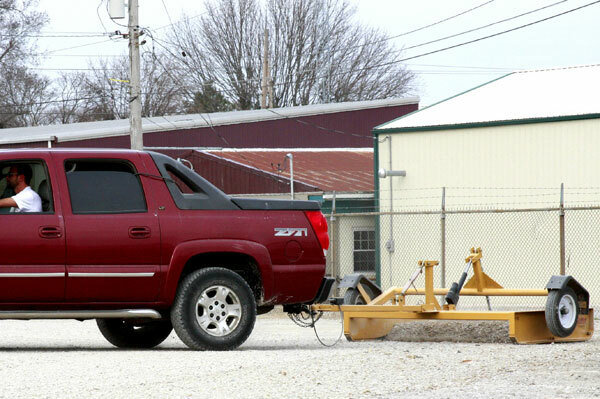 This cuts down on the overall time and fuel consumption it takes to get the job done. Fixed models are also available. 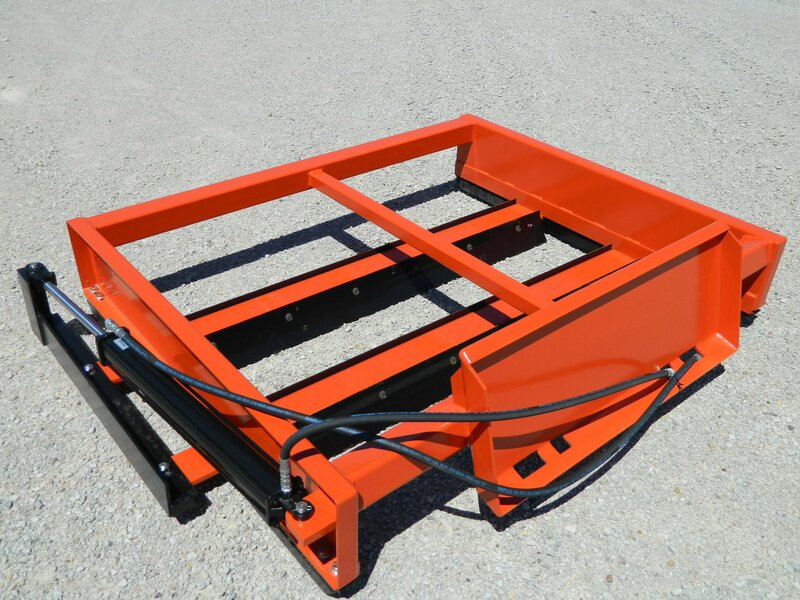 This Patented unit is perfect for smaller tractors, but still delivers outstanding cutting power on hard packed surfaces. 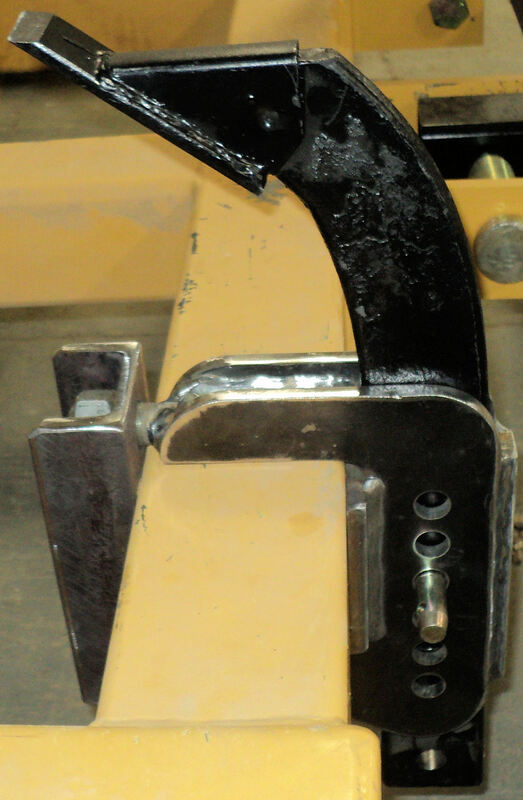 The design allows for the cutting edge assemblies to be adjusted into many different configurations with ease just by removing two bolts for cutting edge and reinserting them into the preferred position. The angled position works great for cutting hard packed material and for putting crown back in your roadway. 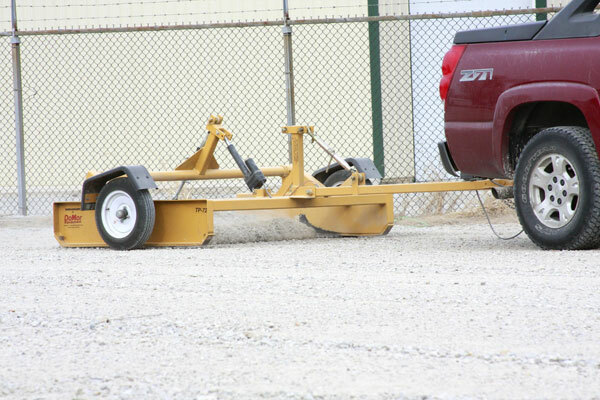 The straight position works great for grading parking lots and spreading stockpiled material. You you have to actually buy four or more of our competitors graders to equal all the configurations this one unit provides. Perfect for Compacting Lose Material. Several Add-On Accessories to choose from. We also sell smaller ones for atvs, utvs, and lawn tractors. Getting the job done with a truck...There's Noting wrong with that.